The abdominal area may be subdivided into four quadrants. H Describe the anatomical position. Using the appropriate terms, describe the relative positions of several body parts. Explain how the names of the abdominal regions describe their locations. The following terms are commonly used when referring to various body regions. Figure 1.23 illustrates some of these regions. SOME MEDICAL AND Applied Sciences cardiology (kar3de-olco-je) Branch of medical science dealing with the heart and heart diseases. dermatology (derSmah-tolco-je) Study of skin and its diseases. endocrinology (encdo-kri-nolco-je) Study of hormones, hormone-secreting glands, and the diseases involving them. epidemiology (epci-deSme-olco-je) Study of the factors determining the distribution and frequency of the occurrence of health-related conditions within a defined human population. gastroenterology (gasctro-encter-olco-je) Study of the stomach and intestines, as well as their diseases. geriatrics (jercte-ataiks) Branch of medicine dealing with older individuals and their medical problems. gerontology (jeröon-tolco-je) Study of the process of aging and the various problems of older individuals. gynecology (gi8ne-kolco-je) Study of the female reproductive system and its diseases. hematology (hem&h-tolco-je) Study of blood and blood diseases. 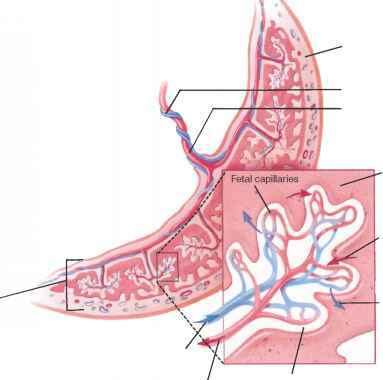 histology (his-tolco-je) Study of the structure and function of tissues. immunology (imöu-nolco-je) Study of the bodycs resistance to disease. neonatology (necb-na-tolco-je) Study of newborn infants and the treatment of their disorders. nephrology (ne-frolco-je) Study of the structure, function, and diseases of the kidneys. neurology (nu-rolco-je) Study of the nervous system in health and disease. Some terms used to describe body regions. (a) Anterior regions. (b) Posterior regions. obstetrics (ob-steferiks) Branch of medicine dealing with pregnancy and childbirth. oncology (ong-kolco-je) Study of cancers. ophthalmology (ofcthal-molco-je) Study of the eye and eye diseases. orthopedics (orctho-pecdiks) Branch of medicine dealing with the muscular and skeletal systems and their problems. otolaryngology (octo-larcin-golco-je) Study of the ear, throat, larynx, and their diseases. pathology (pah-tholco-je) Study of structural and functional changes within the body that disease causes. pediatrics (pecde-aferiks) Branch of medicine dealing with children and their diseases. pharmacology (fahrSmah-kolco-je) Study of drugs and their uses in the treatment of diseases. podiatry (po-dicah-tre) Study of the care and treatment of the feet. psychiatry (si-kicah-tre) Branch of medicine dealing with the mind and its disorders. radiology (radde-olco-je) Study of X rays and radioactive substances, as well as their uses in diagnosing and treating diseases. toxicology (tokcfei-kolco-je) Study of poisonous substances and their effects upon body parts. urology (u-rolco-je) Branch of medicine dealing with the urinary and male reproductive systems and their diseases.